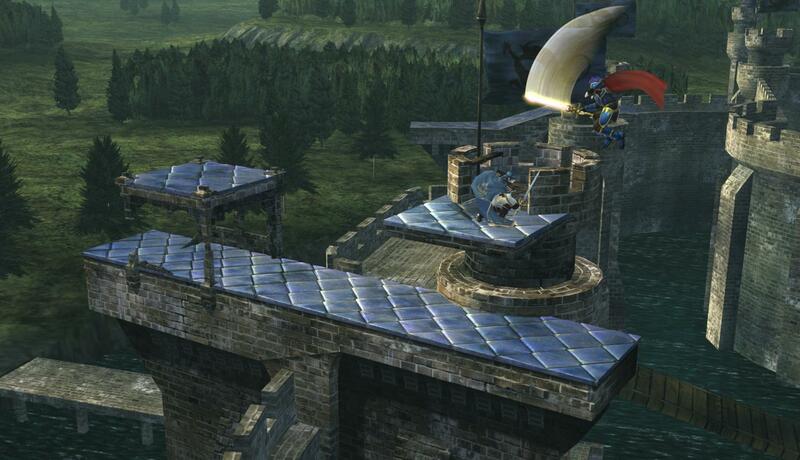 Project M's Castle Siege (PM), compatible with Pokémon Trainer Red. Contains Brawl & PM Solo UI elements. Read more on Project M: Red Version here. I included two versions, one over Castle Siege alts (i.e. 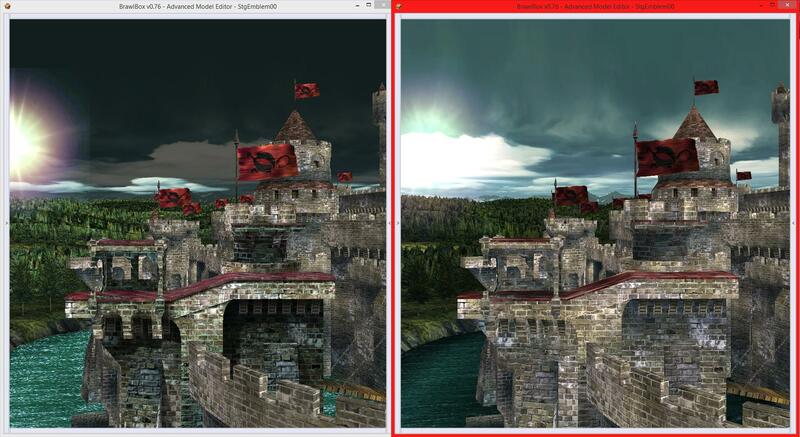 STGEMBLEM_Z.pac), which has some textures shrunken to fit Castle Siege's very small file size limit. The other version has uncompressed textures, they both use FD as a base. I experienced no lag when using 4 players. Behold a set of ruins, it is time to siege them! This is an alternate for PM Castle Siege featuring elements from the Subspace Emissary Ruins stage, works great as a Fire Emblem alt! This stage uses a final destination based rel. Now with updates from Legacy TE. 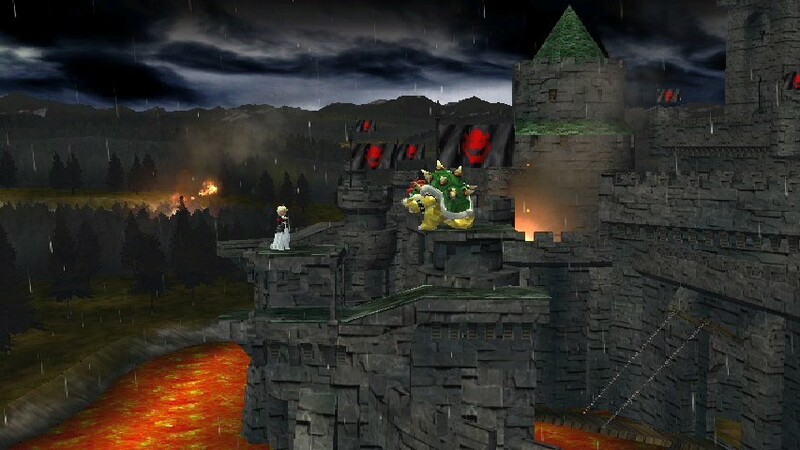 A ruined castle in hell, overtaken by lava all around it, lets smash people into it! 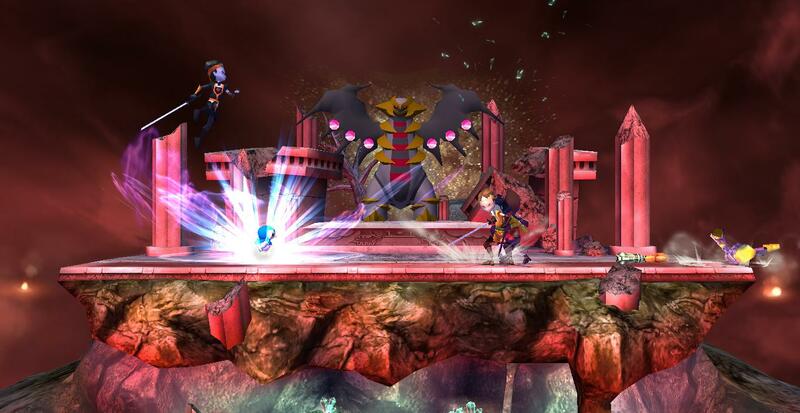 A nice alternate stage for Fire Emblem or Kid Icarus! A competitive overhaul of Castle Siege. Includes day/twilight and red/blue versions, as well as a port over Skyworld that can be rel ported to any stage that isn't Castle Siege. Has the Project M 3.6 camera and works fully with Borderless Stamina mode. Time for another Smash U import! Castle Siege Omega imported with original and twilight lighting. Optimized for brawl, there isn't lag even in 4 players matches. Include a red/blue version with specular efects on the surface. It goes over STGEMBLEM_00. and I'll do a Wifi Safe version over STGFINAL later. Don't forget use the STGEMBLEM.pac and the rel. Kamiki Village with proper spawn points for Pokemon. The stage does not transition. 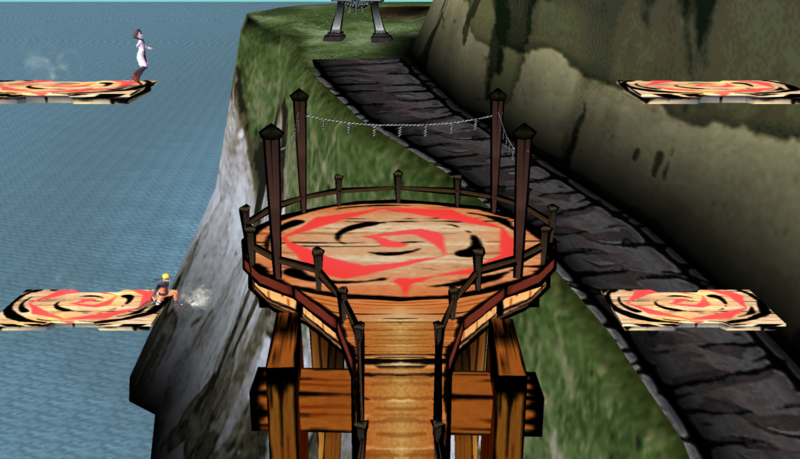 I also deleted the Torii that interfered with the camera when zoomed out. No rel porting is involved, but BOTH .pacs are required for this stage to work (Alternate File Loader compatible as an alt too). Update 1: New blue version inspired in the Project M 3.6 stage. I replaced the old floor by one from WiiU version (with more details and polygons) and I used the same texture for the floor of the background tower. Additionally I restored the original flags and I increased the quality of some low resolution textures. I done a little changes in the stage lights, the shadows are more realistic now. The floors have a specular effect that reflect the sun. 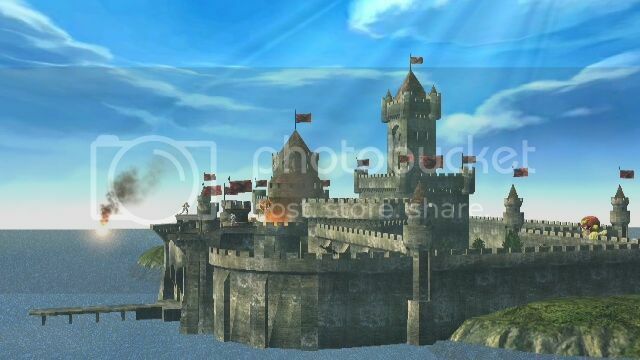 AND WHO SAYS SMASHU CASTLE SIEGE WOULDNT LOOK LOVELY IN BRAWL?!?!? 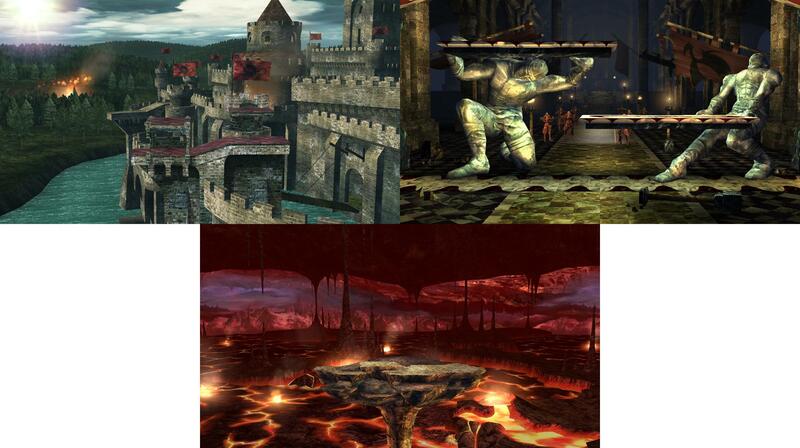 2nd pic shows the difference between SmashU and Brawls castle top area. Only models that I didn't bother importing was the statue models. Comes with SSS icons! It is Spear Pillar over Castle Siege with 3 versions. It goes over Castle Siege with no .rel. It comes with a Shiny version. Might update the STGEMBLEM_01.PAC in the future, I feel like it could had be done better. I wanted to make this for a long time. There's no other version of Bowser's Castle other than the one that has been here for years, so I made my own using updated textures, colors, and more. The first stage has a very light rain. The flags do not wave... yet. I am working on that. The second stage has been fitted with actual Bowser minions, a red carpet, and an ornate back wall. Bowser Jr sits at the throne. 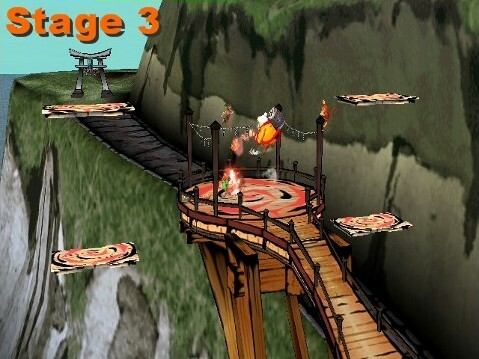 The third stage is more fiery red and the background is changed to look like a Mario 2D platformer level with enemies and item blocks.Overall, besides stage 3, everything is a lot less "beaming red" if you prefer more subtle colors, compared to the original bowser's castle texture for this level. If you discover a problem with the stage, don't hesitate to let me know. Simple stage hack, requested by Jasonvalle, who also took in-game pics. Took about a day. Goes over Castle Siege , so the stage transitions from morning, to day, to night, then loops again, of course. I've made custom srt0 animations in this stage to make it function properly. 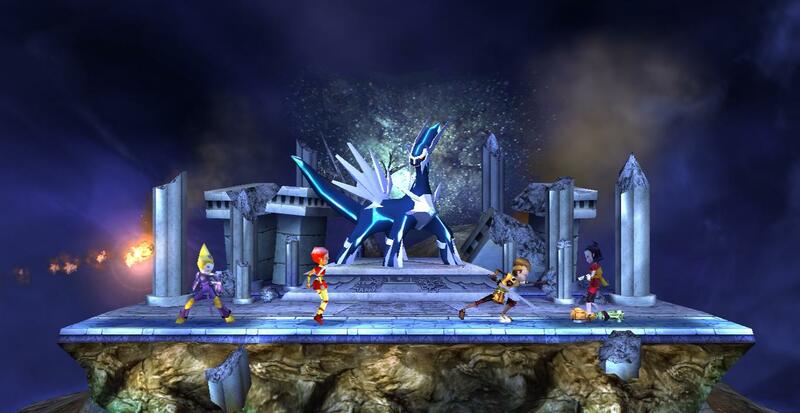 Credit to Gamewatching for importing the stage originally, and Mewtwo2000 for rebuilding, as well as Xenozoa425 and Muhsoce for background swaps. Hey guys! So I was trying to make this work for a while with no success. MewTwo2000 tried telling me how to do it, but I failed lol. So basically this is all his doing. He edited it for me 100% and sent it to me. I just thought I'd post it to share with everyone. Those statues sucked large tennis balls. 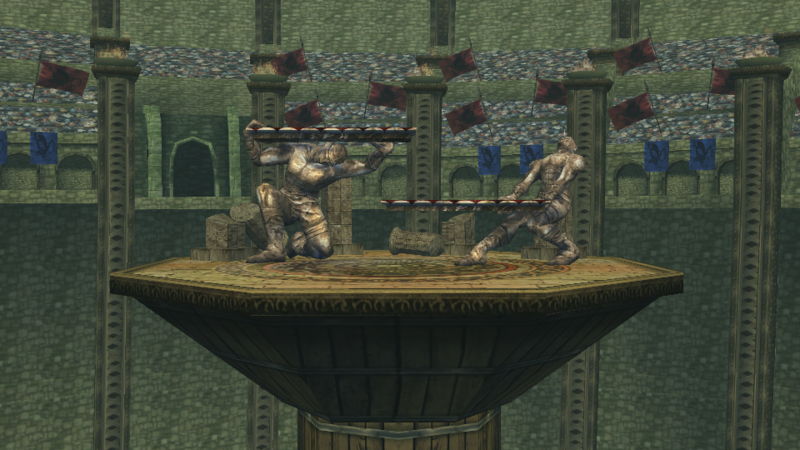 So now they have no hitboxes attached to them so they wont get in the way of projectiles, take damage, or break. 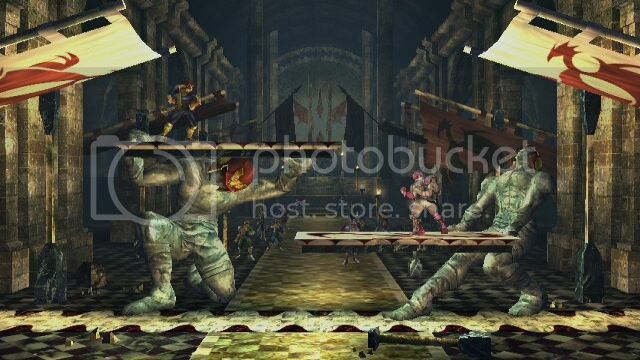 The only thing wrong with the stage now is entry, for a couple of seconds when characters are coming on screen as the match is starting, the camera aims below the stage. But as soon as the guy counts down and says go, everything is dandy. - HELP! :( Game freeze when level reach 3min 50s. If someone know how to fix this problem, I like to hear that. UPDATED: Fixed STAGE 2's "SUDDEN DEATH" problem, thanks to LegacyWolf and DSX8! - STAGE 1: Added water effect in water. 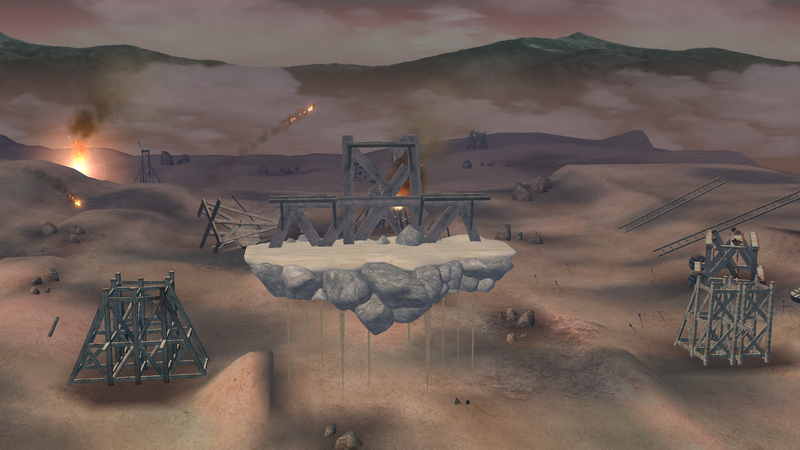 - STAGE 2: I change this stage because there was those invisible walls in v1. 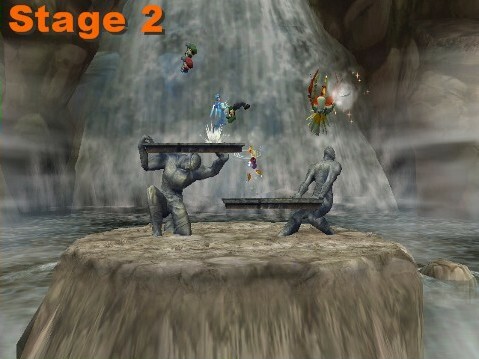 In this stage, water go UP to DOWN in waterfall, thanks to DSX8 for that. - STAGE 3: I make some remediations in this stage. There was a chance in v1 that you can't see stage when players go to top left & right because camera go back to some part of stage, so I remove most of those parts that really have any reason to be in this stage. ...I'm going to fix v1 so the next update is v1+. 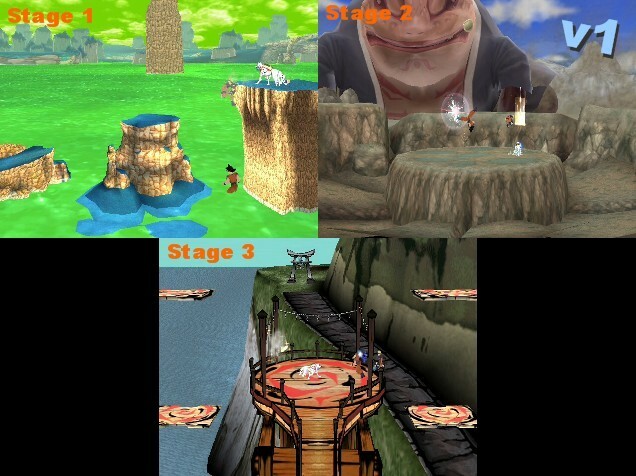 3 cool stages in 1! D.N.O, Dragon Ball, Naruto & One Pie... I mean Okami! Thanks to LegacyWolf and DSX8 to let me to release this. Thanks to especially LegacyWolf who help me fix things and how to use BrawlBox's stage editor. 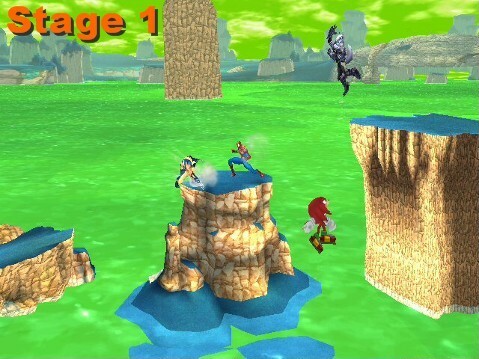 Credit to ItalianStallion and KTH for the original planet namek stage, and CutterKirby64 for fixing a model in Planet Namek for LegacyWolf. 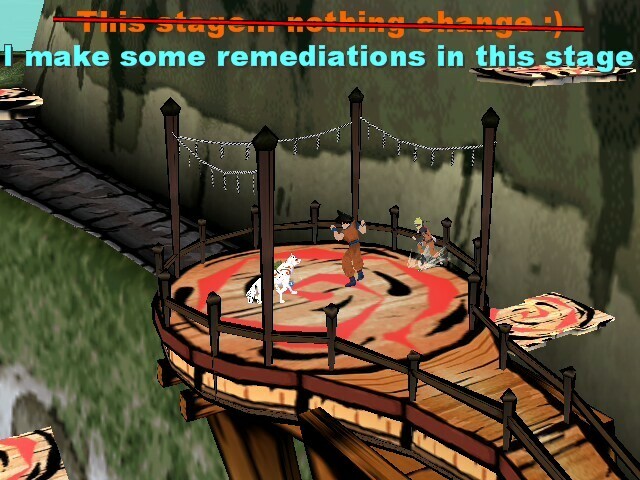 - STAGE #3: I make some remediations in this stage. There was a chance in v1 that you can't see stage when players go to top left & right because camera go back to some part of stage, so I remove most of those parts that really have any reason to be in this stage. I bring to you my newest Namek project! 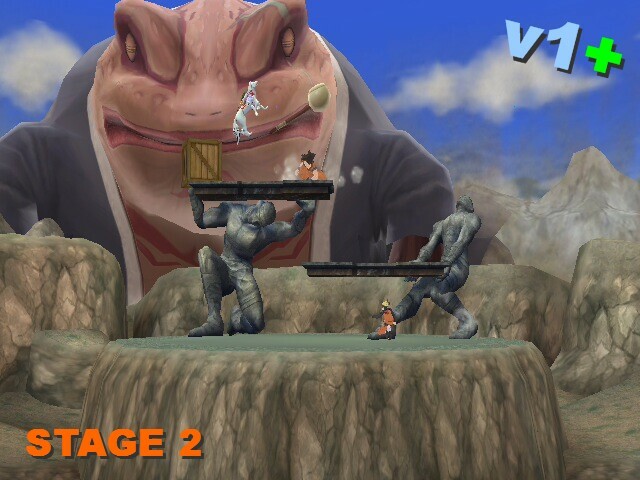 Basically, this stage represents the destruction and revival of Planet Namek. It's definitely interesting to play on, depending on how you fight, of course. Credit to DSX8 for helping with collisions. ok so this is the story... i got bored one day and started looking at Super Mario 64 textures, when i came across the textures that are used for the castle and outside of the start stage in the game, i thought of putting these textures over a brawl stage, and it's hard to find a stage in brawl that has a castle the same shape as Peach's Castle in SM64, with a bridge and water and grass areas. 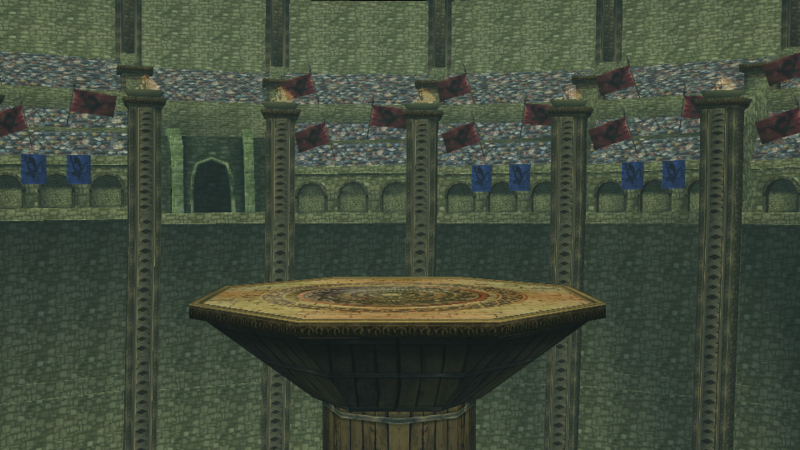 Once again another texture has been made on this stage (this time both outside and inside), the only visible unchanged texture at the outside part is the flag (because it takes forever to texture all of em), there is a problem in the sky though but doesn't matter. 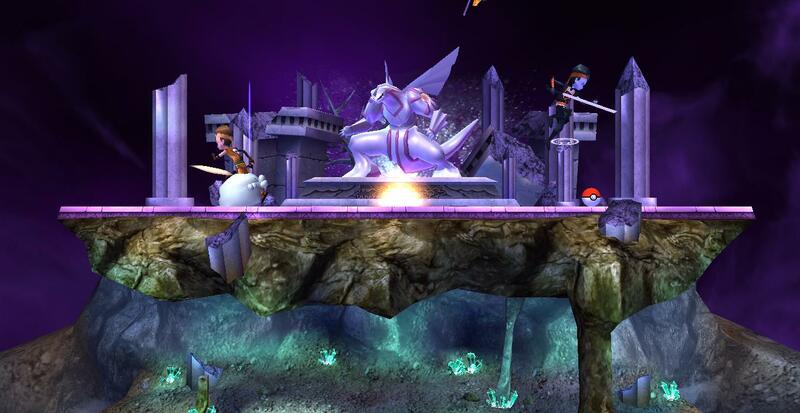 The 2nd picture shown of the inside of the castle, actually has models in it (because im new to hacking brawl, i don't know how to remove models). Anyways hope you enjoy it ! check out this special Christmas version of Castle Siege, cool isn't it ?. As you can see the picture's of the stage are really impressive, but nothing like actually trying the stage on the actual game !. This is a must download trust me, Enjoy ! IF THIS FREEZES FOR YOU, THEN CLEARLY IT MUST BE YOUR GAME... I HAVE TRIED IT ONCE AGAIN AND IT WORKS PERFECTLY... THE FLAGS IN THE STAGE ARE CHANGING IN DIFFERENT COLOURS SO THATS WHY IT MIGHT HAVE PROBLEMS WITH SOME GAMES. Page created in 0.773 seconds with 136 queries.